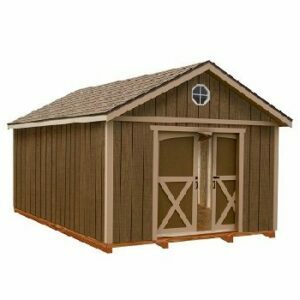 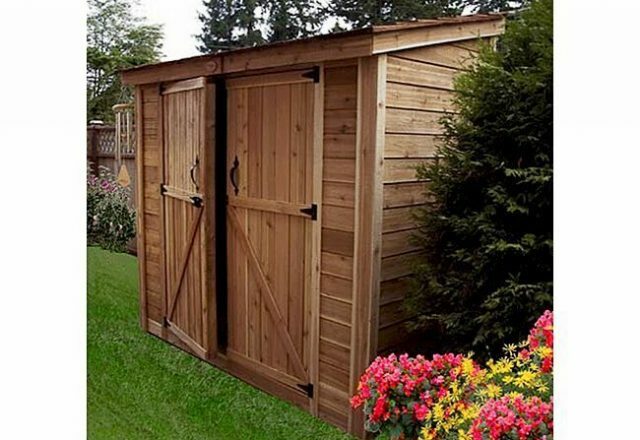 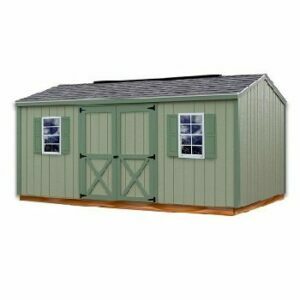 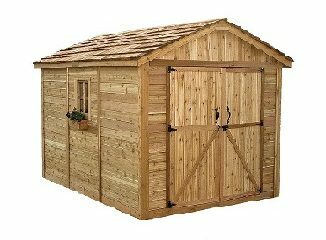 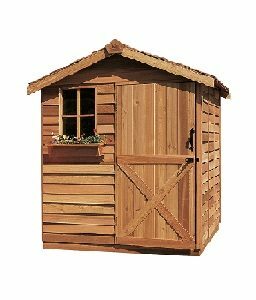 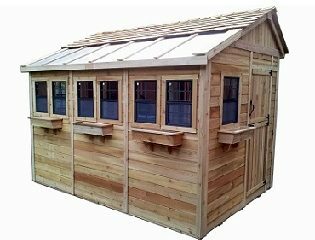 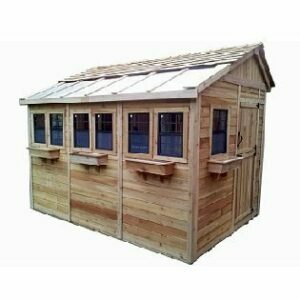 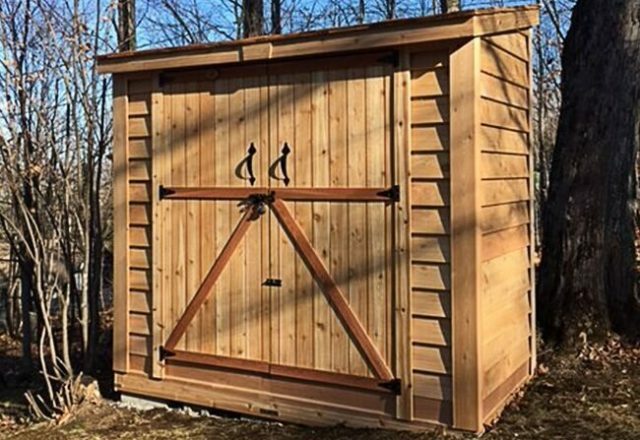 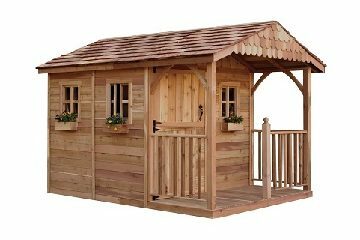 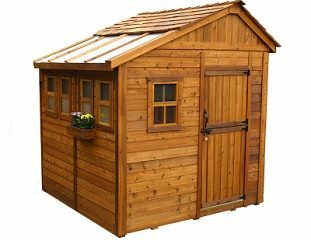 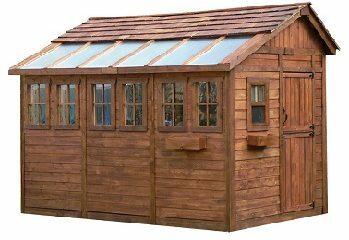 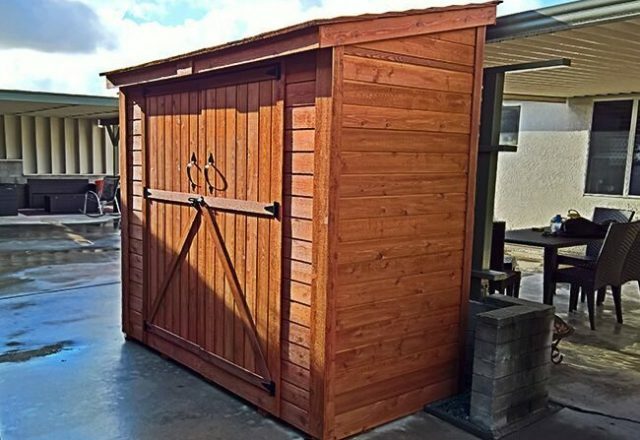 The SpaceSaver 8 x 4 Cedar Shed is the perfect solution for those who need more than a chalet but don’t have the room or the budget for a full-sized shed. 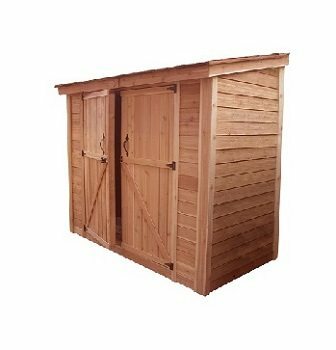 The SpaceSaver 8 x 4 Cedar Shed with Double Doors is the perfect solution for those who need more than a chalet but don’t have the room or the budget for a full-sized shed. 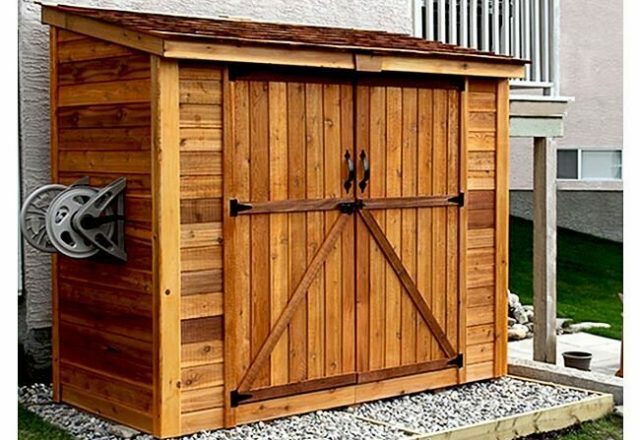 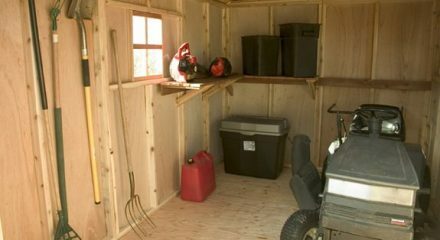 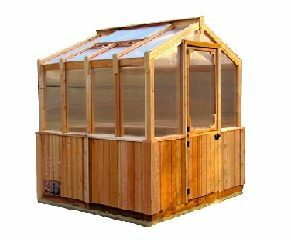 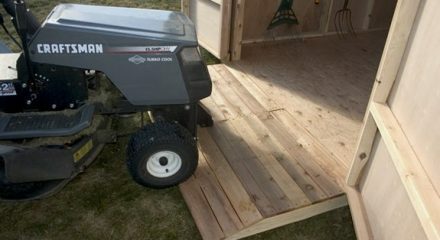 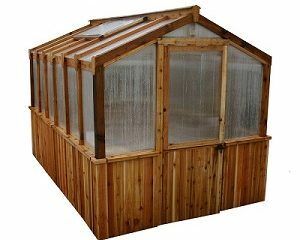 Built like a lean-to, it’s perfect for assembling against a wall or fence and takes up surprisingly little space in your yard. 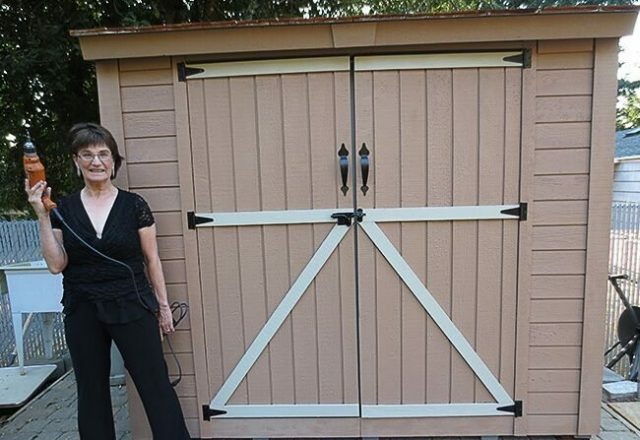 A double-door for easy access. 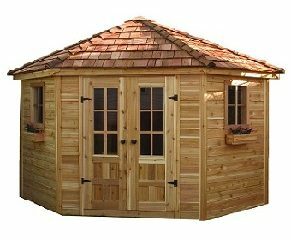 You can choose whether you want the roof pre-shingled or you’d rather purchase a different style of shingles yourself. 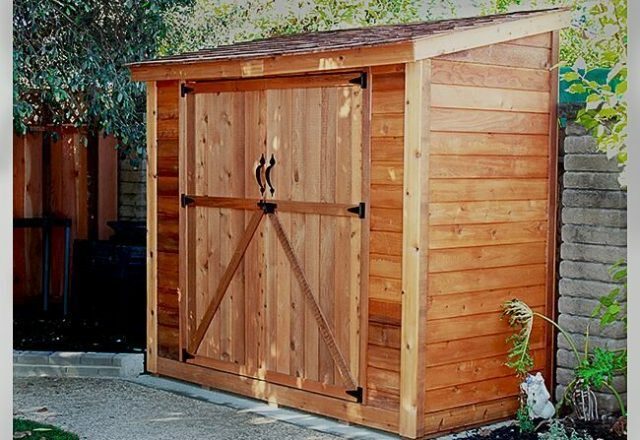 Pre-cut panels are quickly assembled, and the hardy Western Red Cedar adds natural beauty to this small but efficient space saving shed. 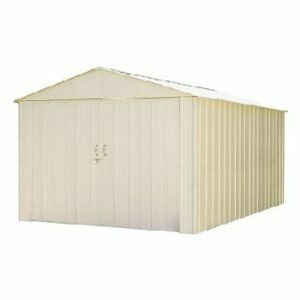 Overall depth including roof overhang: 55 in. 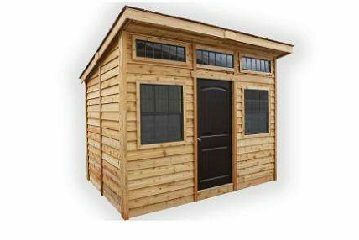 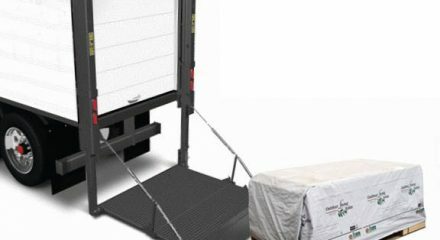 Door Dimensions: 63 1/2" x 72"
Floor footprint: 96" x 45 1/2"
Interior depth (frame to frame): 41 1/2"
Interior height from floor (front): 79"
Interior height from floor (rear): 87"
Interior width (frame to frame): 91"
Overall width including roof overhang: 103"